Should You Invest in a Multi-Family House? A multi-family property can make great sense from an investment standpoint. Even for someone who’s not investment-minded, there’s the option of buying a duplex (two-unit home) or triplex (three-unit home), living in one unit and renting out the others, with your tenants’ rent moneys covering most or all of the mortgage payment. In many areas, multi-family homes don’t receive the attention that stand-alone houses do, so you’ll have less competition to purchase the property you’re wanting. Bear in mind that you will need a higher down payment. Many banks ask for as much as 30% down, and you may have to indemnify that with an interest in your own personal home or another commercial property. It’s important to manage a multi-family property well, and you may want to consider a property management firm as a go-between. Your contract with them will cut into the bottom line on your return. Do a thorough market analysis beforehand. 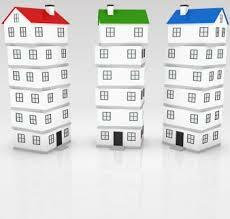 Take into account what similar units are renting for, as well as the value of the building and the land. Do your due diligence when researching properties. Look into any title problems like liens. Look at utility bills, maintenance records and tax records. Consider probable yearly expenses against the income potential and cap rate. Make sure your attorney reviews all leases for current tenants together with all rent registration records if the property is rent stabilized. The contract should also contain representations that all tenants are current with rents and that there are no pending rent disputes or actions pending in Court with tenants. For a smart investor, a multi-family property can wind up as a solid, stable investment that can keep bringing money in for years to come.